It’s the first day of September and we wanted to start off the month with one of our fan favorite pocket charts: the Classroom Quilt Pocket Chart! A time–tested favorite, now available as a reusable pocket chart! Reinforce lessons and display student work across the curriculum all year long, and year after year. This Pocket chart measures 6.25″L x 6.25″H and includes a teacher tip sheet with a reproducible quilt square to make additions to the quilt hassle-free and seamless! Use it to reinforce lessons in symmetry, fractions, weather, life science, creative writing, art, and more. This chart features 30 clear vinyl pockets to display the work of every student and sturdy grommets that allow you hang it on the wall, bulletin board, or pocket chart stand. This pocket chart normally retails for $29.99, but for today only until midnight tonight (PST), you can get it for just $14.99! Not to mention that we’re also including free shipping with this Deal of the Day purchase (Simply enter EIFREE at checkout). Fun Metric Worksheets from Nancy B.
Nancy Balter is our math and science product developer here at Educational Insights. 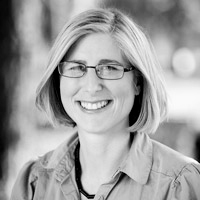 Not only is she brilliant in developing educational toys and games in her area of expertise, but she was also a teacher for 11 years! Today she has graciously shared with us some very helpful worksheets to help your kids learn their metric system. These two fun worksheets help students to learn the Metric System. The 2-page Optical Illusions worksheet has students using a ruler to practice measuring in metric (using centimeters and millimeters). Kids love optical illusions so it’s fun to do. 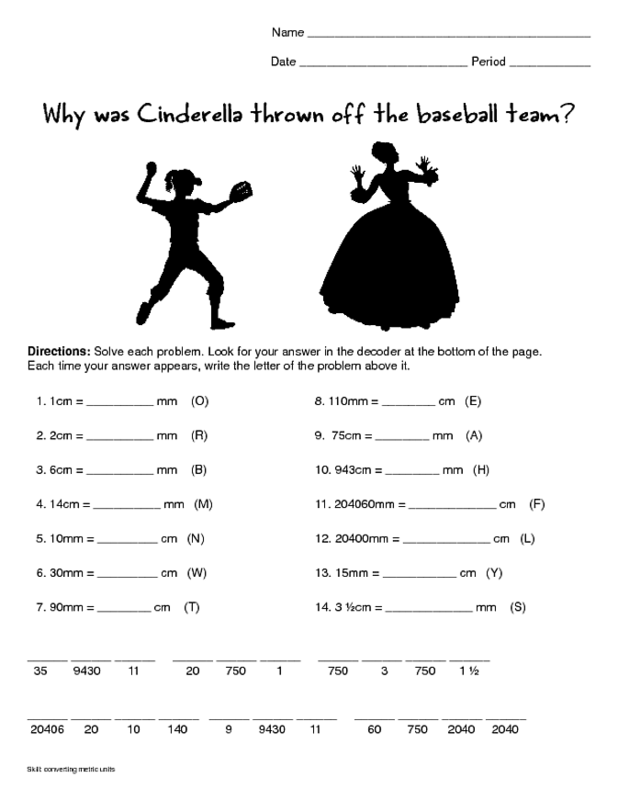 The Cinderella worksheet has kids converting between metric units. (BTW: the answer to the riddle ‘Why did Cinderella get thrown off the baseball team?’ is: Because she ran away from the ball!) Both worksheets list the skill used on the bottom left corner of the page. It’s Saturday August 4th, 2012 and our featured product for Deal of the Day is…. GeoSafari® Talking Electron Microscope™! View more than 180 amazing, up-close images with the Talking Electron Microscope! View various zoomed versions of 60 images and hear 5 fun facts about each image in Learning Mode – then switch to Quiz Mode and test your knowledge! Images include the human body, viruses and bacteria, plants, animals, and other “stuff.” Great for kids ages 2-8. 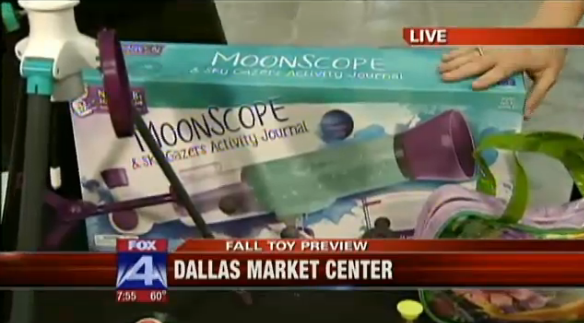 This product is normally priced at $64.99, but today until midnight PST, it’s priced at $39.99! Hurry on over to www.educationalinsights.com before this deal ends! As a bonus, type in the keyword EIFREE at checkout for free shipping with this Deal of the Day purchase! A ghost submarine … a hole in the palm of your hand … a barrel rolling uphill…Learn the science behind 30 amazing experiments with today’s Deal of the Day, Science of Special Effects! can get it for $14.99 today only! This deal is only good until midnight (PST), so don’t delay and head over to www.educationalinsights.com to purchase this hot deal! Enter in our super special Deal of the Day promo code EIFREE to get free standard shipping on your order.